Situated in London’s bustling West End, Soho is bordered by Charing Cross Road, Oxford Street and Regent Street. Well known for its bohemian and slightly seedy charm, Soho’s famous pubs and restaurants have long been the haunt of artists and writers. Soho is known for its thriving Chinatown, centred around Gerard Street , the vibrant bars and cafes in Old Compton Street as well as the plethora of restaurants that are to be found in its warren of narrow streets. 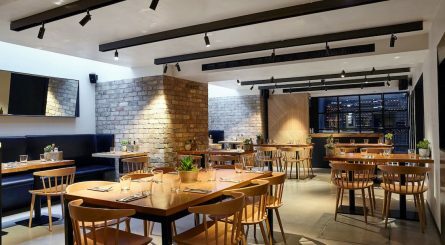 MASH Modern American Steakhouse in Soho has a private dining room seating up to 20 guests and an adjacent semi-private dining room able to accommodate up to 26 seated guests. 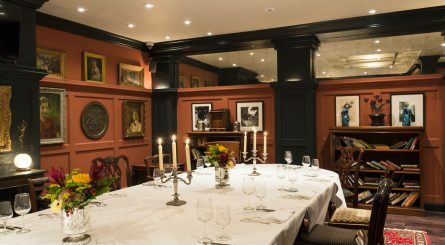 The private dining room at Hix Soho seats up to 10 guests. Mark’s Bar at Hix Soho can accommodate up to 40 seated guests or up to 80 guests for standing drinks receptions. The Ivy Soho Brasserie is one of the highly distinguished stable of restaurants operated by Caprice Holdings. 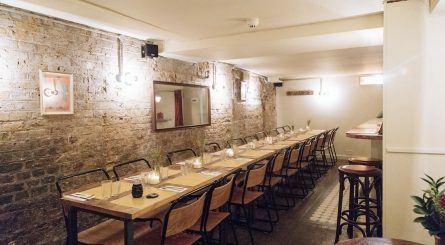 The restaurant’s private dining room can accommodate up to 24 guests at one long table or up to 40 seated guests at 10 round tables. The room also accommodates up to 60 guests for standing receptions. 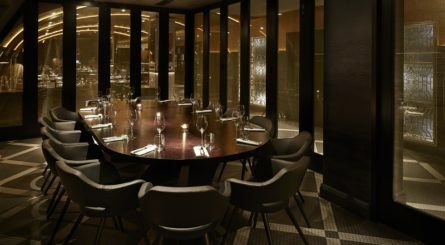 aqua London has two private dining rooms seating 10 & 15 guests. aqua nueva La Casita with its own private terrace accommodates 30 seated / 80 standing guests. 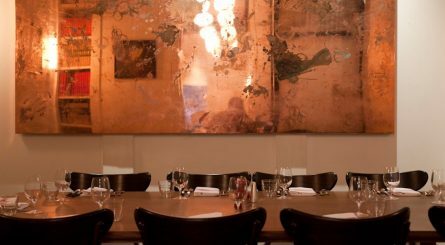 The private dining room at Soho’s Bocca di Lupo can accommodate 12 – 32 seated dining guests and up to 42 for standing receptions.. 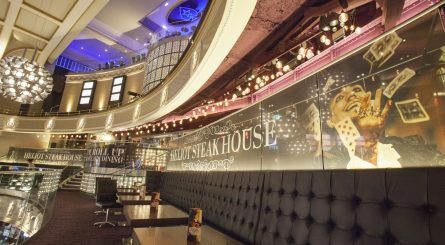 The two private dining rooms at Heliot Steak House at The Hippodrome can seat between 20 to 40 dining guests. Restaurant exclusive hire also available at Heliot Restaurant for up to 150 seated guests. 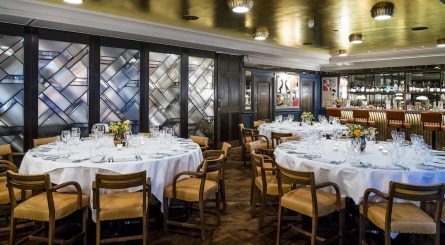 L’Escargot is a French restaurant set in the heart of Soho, with three private dining rooms located on the 2nd and 3rd floors offering complete privacy from the regular diners. 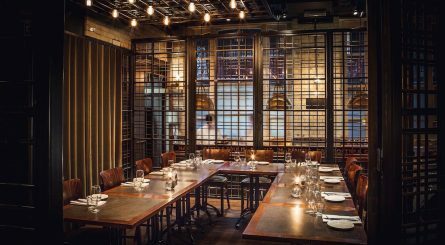 The Cage private dining space at Soho Oyster House accommodates up to 20 seated guests or 30 guests for standing events. 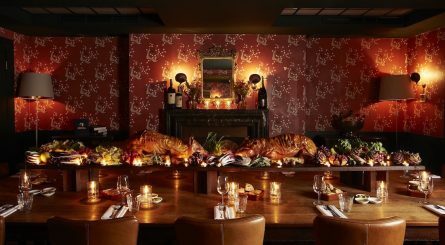 The Campari Room at POLPO Soho can accommodate up to 32 seated guests for private dining events or up to 40 guests for standing drinks receptions. 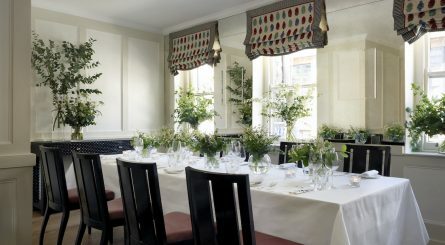 Restaurant exclusive hire is also available for up to 90 seated (120 standing) guests. 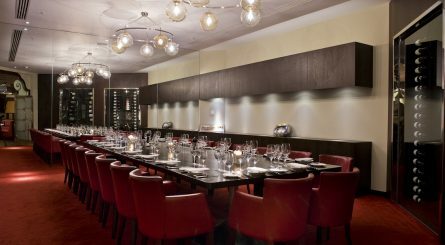 The Leicester Square private dining room at Radisson Blu Edwardian Hampshire Hotel on Leicester Square accommodates up to 32 seated (50 standing) guests and The Penthouse Suite accommodates up to 50 seated / 110 standing guests. 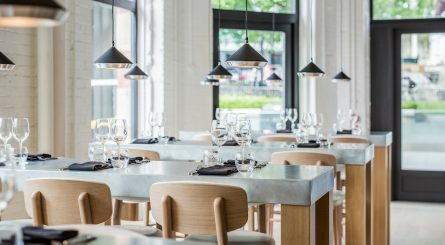 The dining room at Obicà Poland Street can accommodate up to 35 seated (50 standing) guests and the private room seats up to 55 guests. Restaurant exclusive hire is also available for up to 90 seated guests or up to 120 guests for standing receptions.